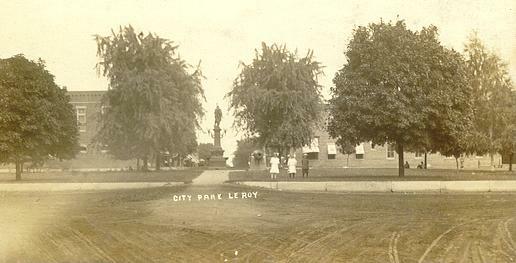 This image shows town square in Leroy Illinois.Image dates about 1914-1915.Note the cannon and the Indian are there(no bandstand).Also note the window awnings.Looks like those girls wore their nice dresses for the photograph. . .